Bothel Bowling Club was founded in 1988. 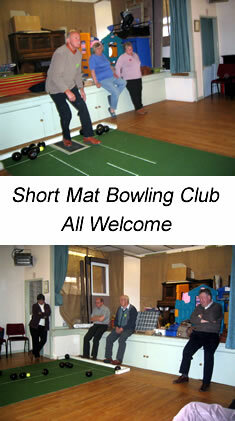 The members play short mat bowls at Bothel Village Hall between September and May. The Club night is each Wednesday – unless that is a WI night (the first Wednesday of the month) when the club meets on the preceding Monday night from 7.30pm – 9.00pm. New members are always welcome – just drop in! – no knowledge of the sport is required and woods are available with which to play. £1.50 per night. No special kit – but sorry no trainers allowed on the mats!